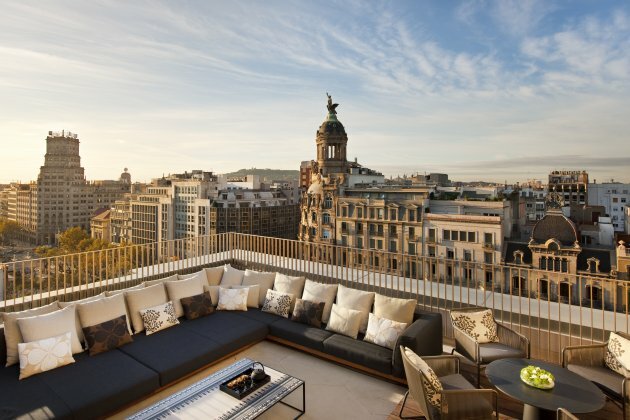 The Spanish designer Patricia Urquiola is responsible for the interior design of the recently opened Mandarin Oriental Hotel in Barcelona. 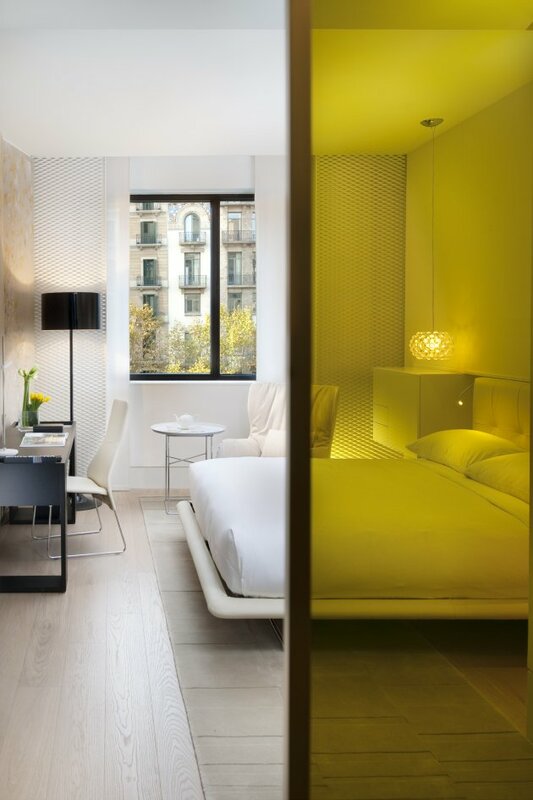 In keeping with Mandarin Oriental’s passion for working with creative and exciting design concepts, the prestigious Spanish designer Patricia Urquiola was commissioned to create the interior décor of Mandarin Oriental, Barcelona. 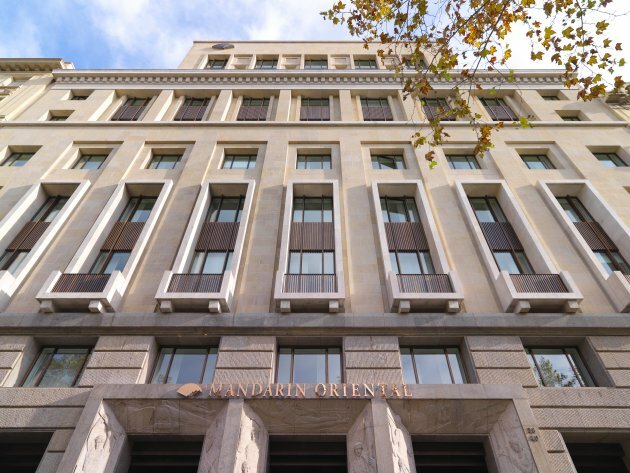 The project reflects the open, cosmopolitan character of the great Mediterranean city where the hotel stands, along with the unmistakeable seal of Mandarin Oriental Hotel Group. 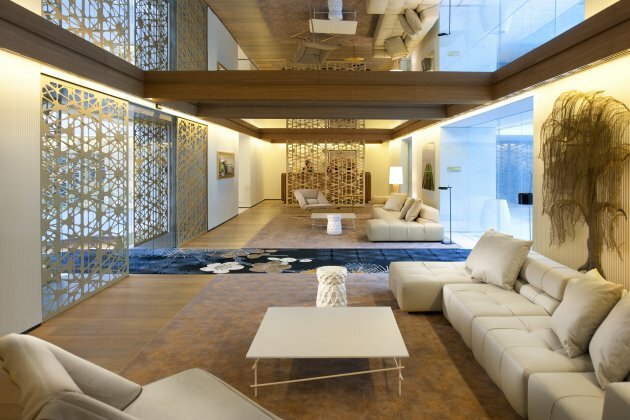 The linear simplicity of the building, which was once the head offices of a bank, lends itself perfectly to the clean, balanced interior design by Urquiola. 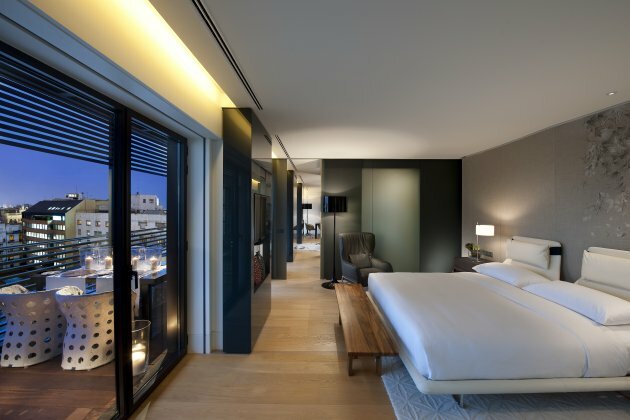 The spatial layout and furniture design, the ceiling decorations and the beautiful hand-woven carpets, reminiscent of the charm and distinction of great classical hotels, have all been carefully chosen by Urquiola. 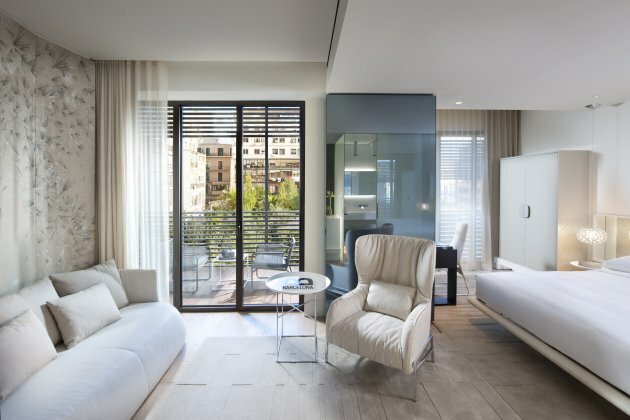 Nearly all the furniture has been specifically designed by the artist or adapted for the hotel in conjunction with such famous names as B&B Italia, DePadova, Flos and Moroso. 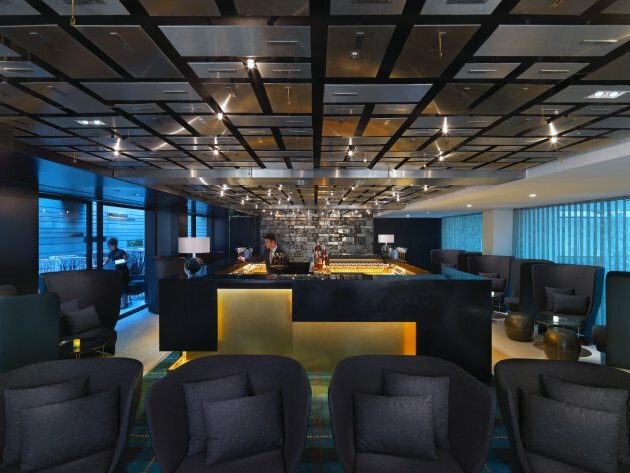 From the Scandinavian style armchairs in Moments restaurant, the lobby sofa, which has been adapted from a traditional Chesterfield, the tartan carpet reminiscent of the Gentleman’s Clubs of bygone days which adorns the Banker’s Bar floor, to the fully restored early 20th century French ironing table which serves as a centrepiece to Blanc restaurant and lounge; each piece has been meticulously chosen or designed to give every venue its own character. 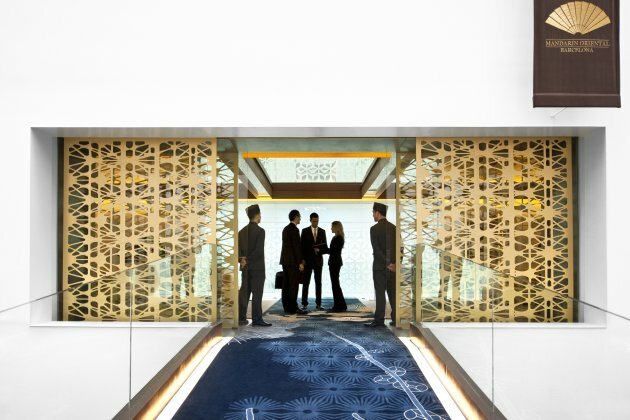 The hotel’s ninety-eight rooms sparkle in shades of cream and white, with avant-garde furniture sitting well alongside oriental details, such as large wall screens and wardrobes inspired by traditional lacquered Chinese boxes. 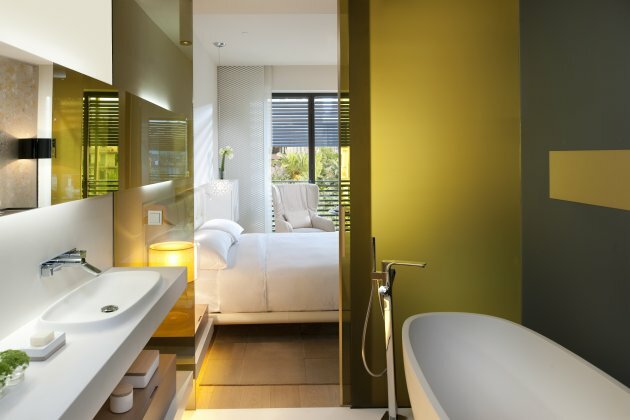 Light oak floors and large bespoke beige rugs add warmth while the bathrooms, complete with oversized walk-in showers, are adorned with mosaics by Mutina and Bisazza that were conceived as magical boxes of coloured glass. 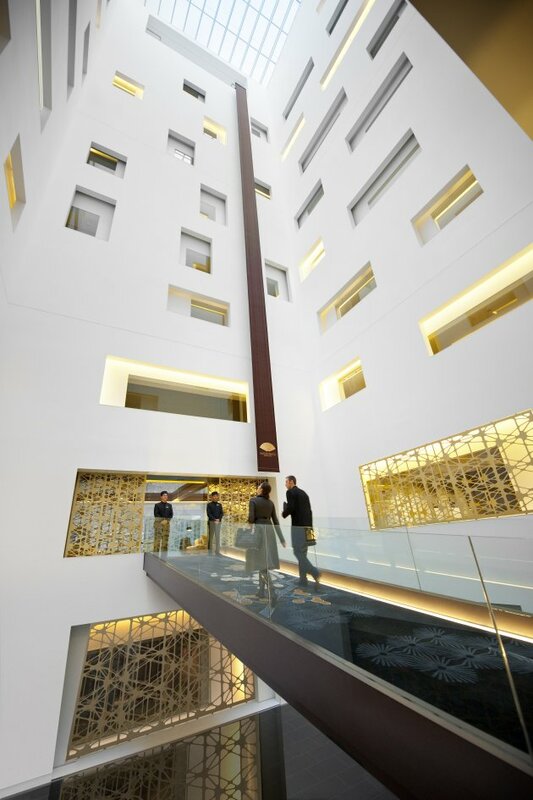 An impressive atrium ramp draws passers-by from the busy central Passeig de Gràcia to the entrance hall of Mandarin Oriental, Barcelona from where guests can view the light filled Blanc restaurant and lounge below. 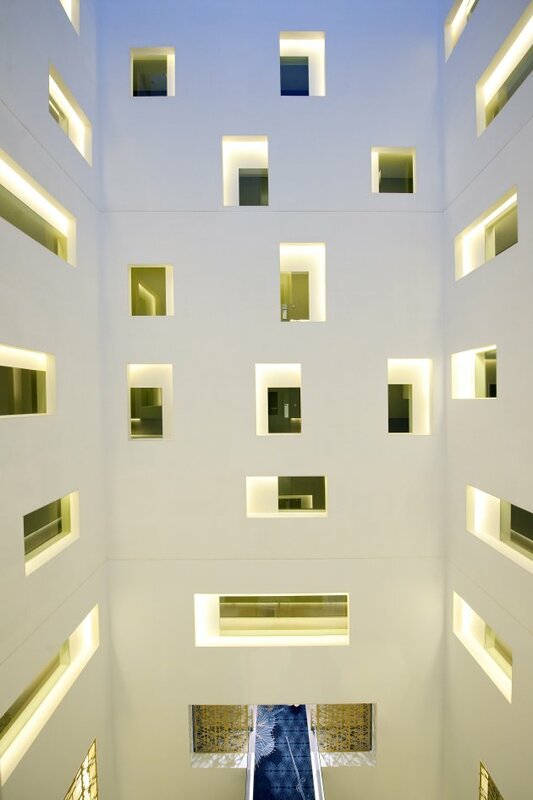 Light is filtered in from the atrium and through large skylights positioned over Blanc restaurant and lounge, which is located on the lower floor, in the heart of the building. 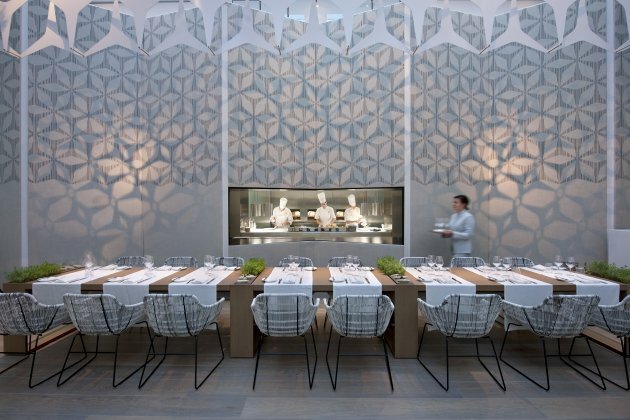 Possibly the most spectacular design element in the hotel is an enormous, rectangular, metallic grid which is suspended over the restaurant tables, allowing for greater privacy. 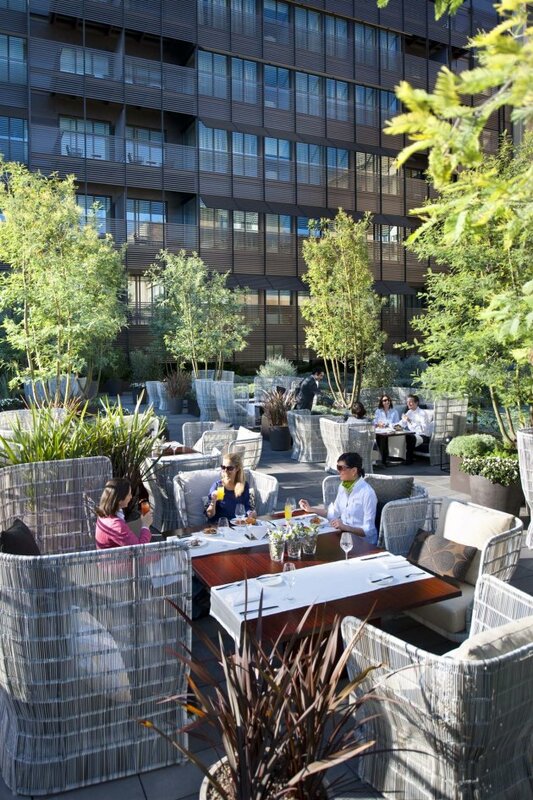 Above this structure, a surprising “hanging garden” effect has been created by the addition of a number of plants. 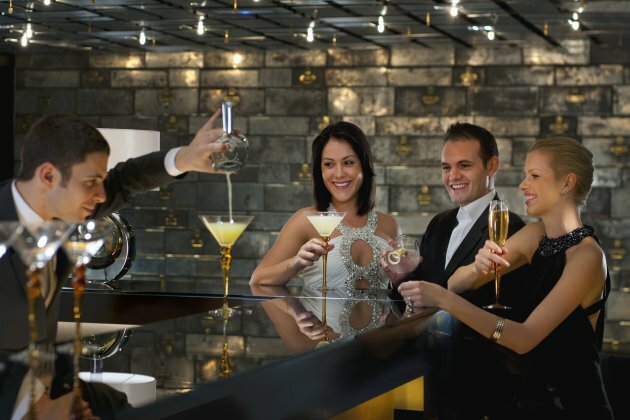 The Banker’s Bar and Moments restaurant are situated on the mezzanine level on either side of Blanc. 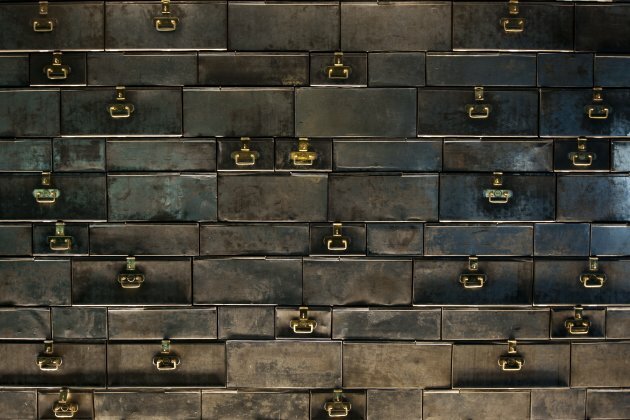 The colourful décor of the Banker’s Bar features steel safes from the bank which formerly occupied the premises and which are now used to adorn the walls. 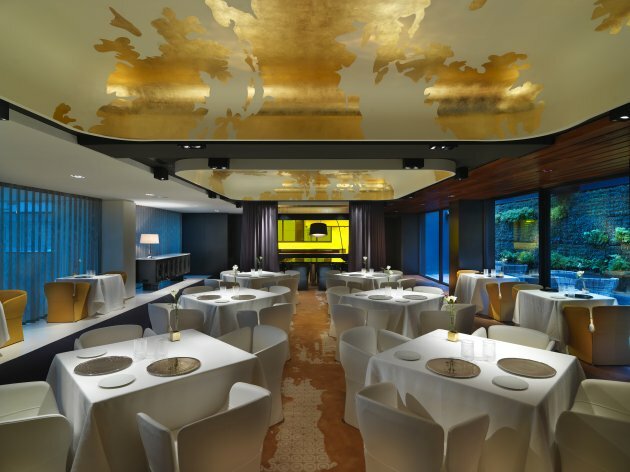 At Moments, directed by the prestigious chef Carme Ruscalleda, hues of gold and amber predominate. 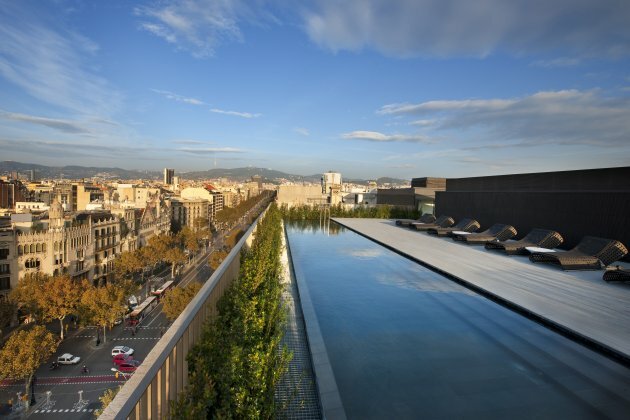 The inner courtyard, otherwise known as the Mimosa Garden is one of Mandarin Oriental, Barcelona’s hidden treasures. 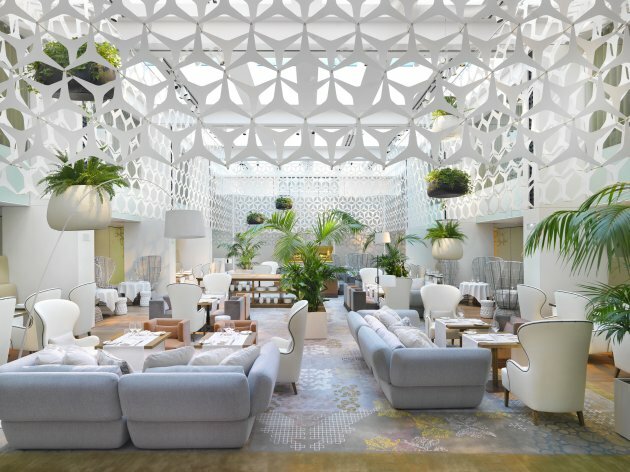 Landscape architect Beth Figueras, in collaboration with Patricia Urquiola, was commissioned to decorate this unusual space. 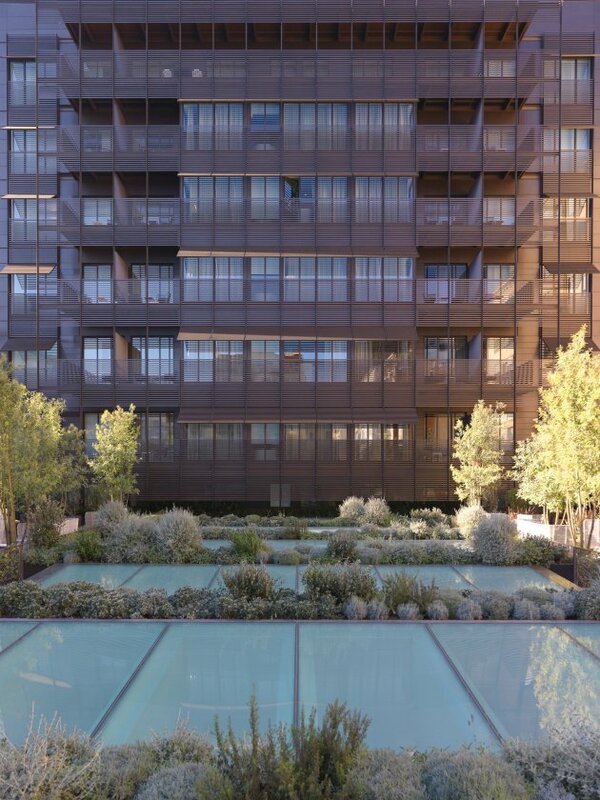 The result is a delightful garden terrace covering some 660 square metres, which has been perfectly integrated into the structure of the building. 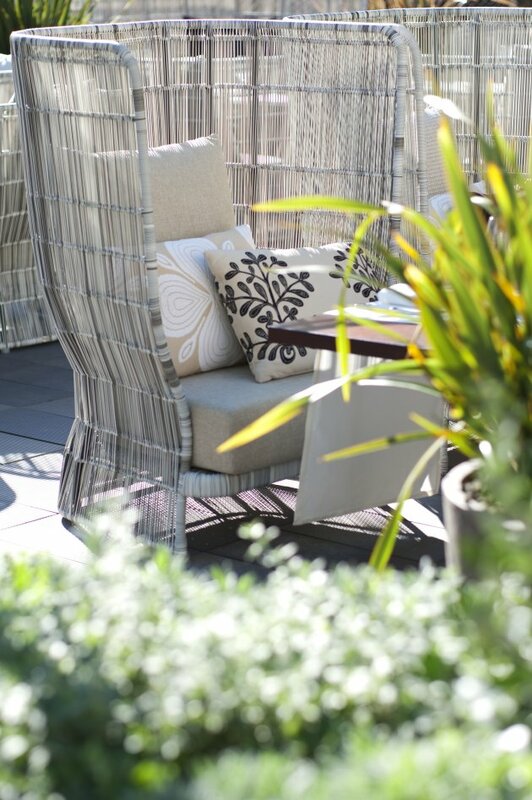 Colourful mimosas and other outdoor plants abound, while specially designed rope chairs invite guests to enjoy al fresco moments in this urban retreat. 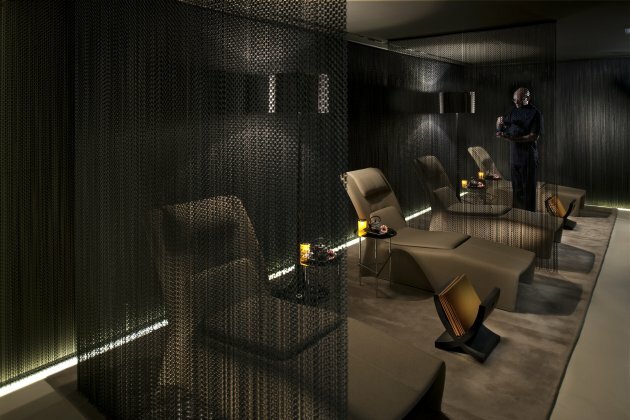 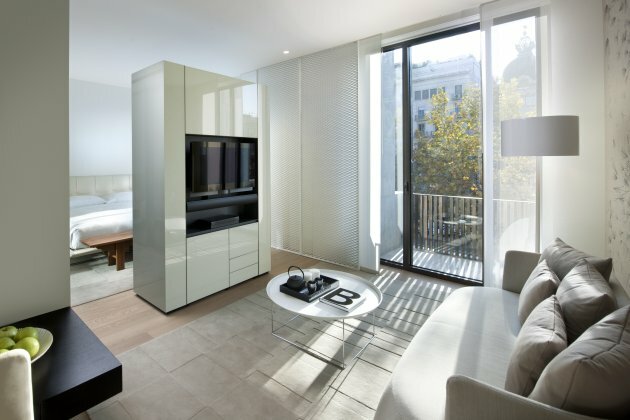 A minimalist aesthetic is evident throughout the Spa at Mandarin Oriental, Barcelona. 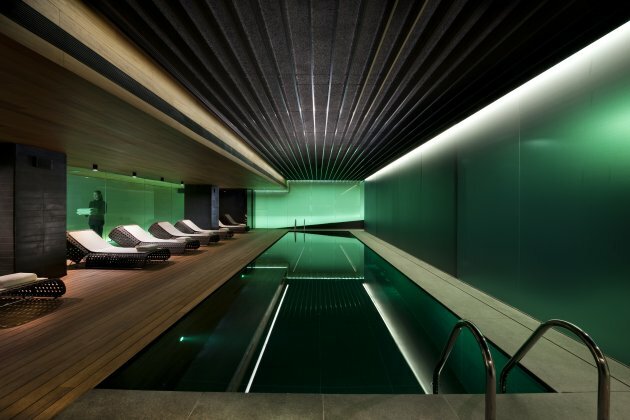 Dark wood detailing, black ceilings, white floors and the organic look of wet stone are predominant. 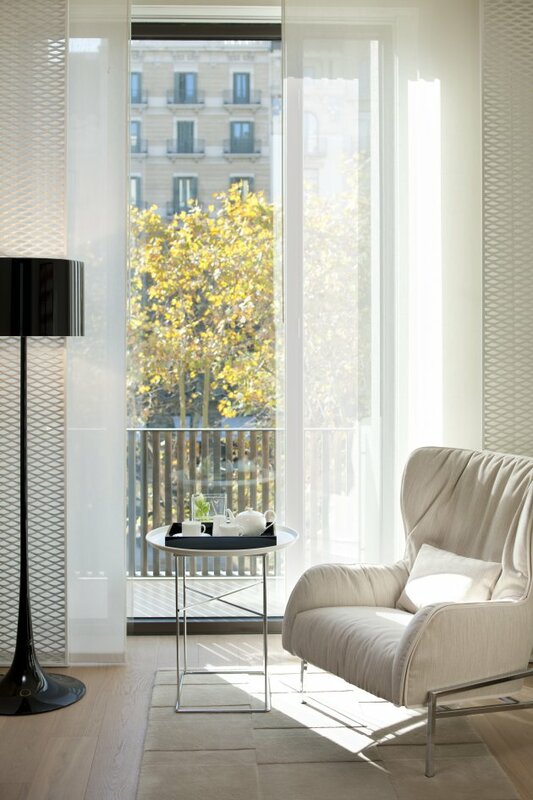 Metallic curtains lead guests to each of the eight spacious and comfortable treatment rooms, where sophisticated period appliqués contrast with the overall simplicity of the space. 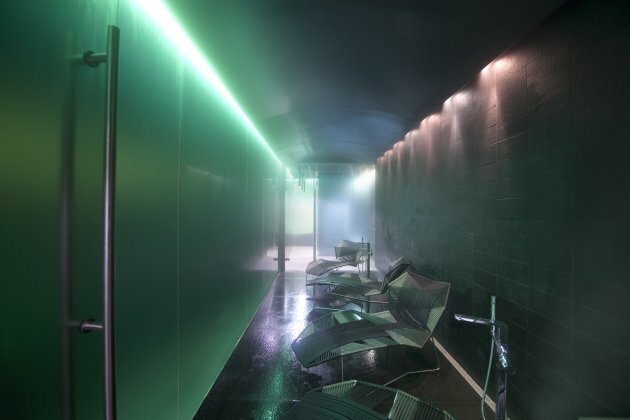 In the pool area, a large malachite-green screen hides the Hammam from view. 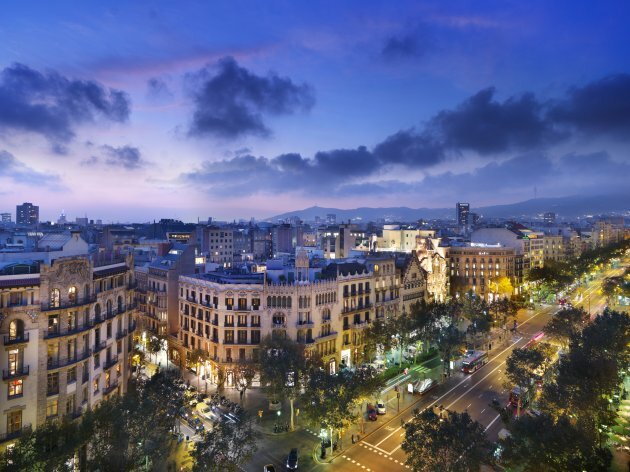 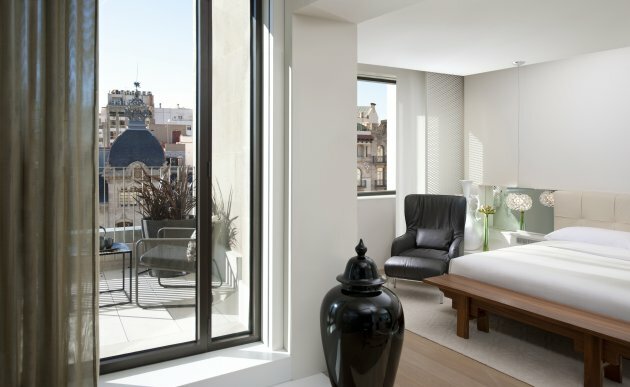 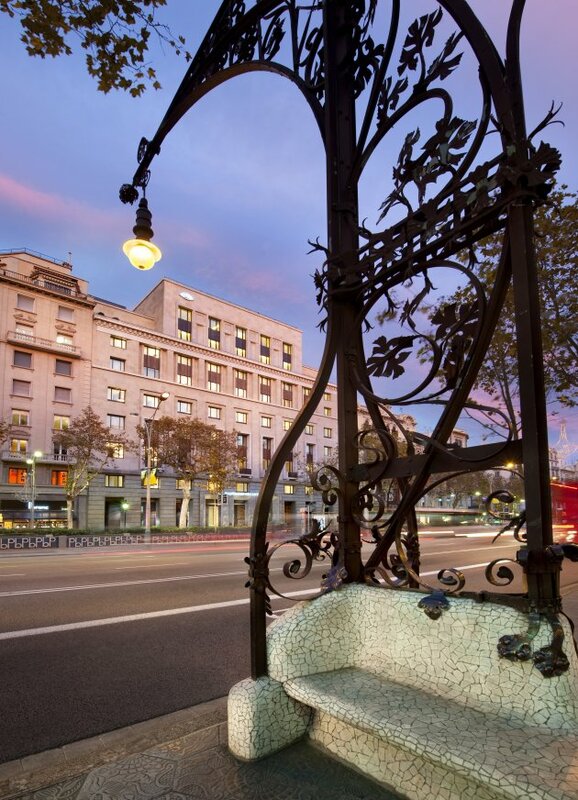 Visit the Mandarin Oriental Barcelona’s website – here.